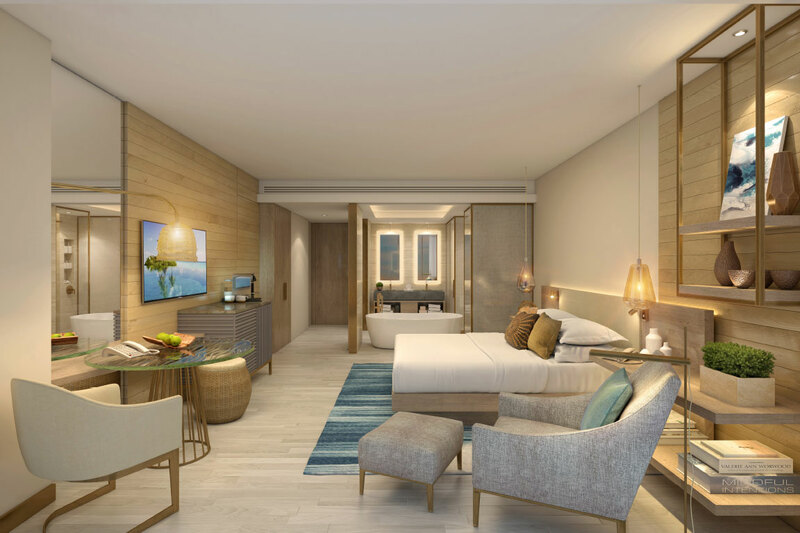 Inside Amrit Ocean Resort & Residences, upcoming wellness luxury oceanfront condos at Palm Beach County’s Singer Island. 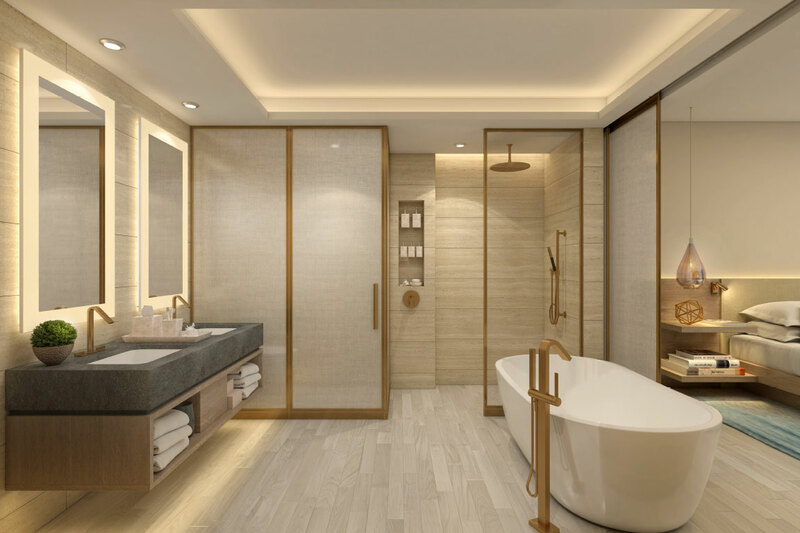 Wellness is a lifestyle at Amrit Ocean Resort & Residences, a project year in the making which officially relaunched in Palm Beach on Singer Island this summer. 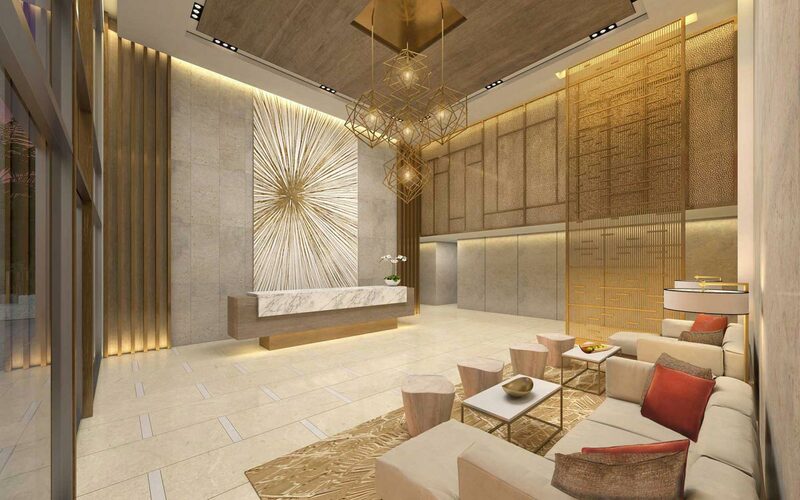 The development totals 351 units (hotel and residences) and includes a 100,000-square-foot space that will house an outdoor spa and wellness amenities like a meditation garden and outdoor yoga studios. That’s not all: the entire project, developed in partnership with ESPA and the Himalayan Institute, is designed around “The Five Pillars:” nutrition, fitness, mindfulness, sleep, and relaxation. 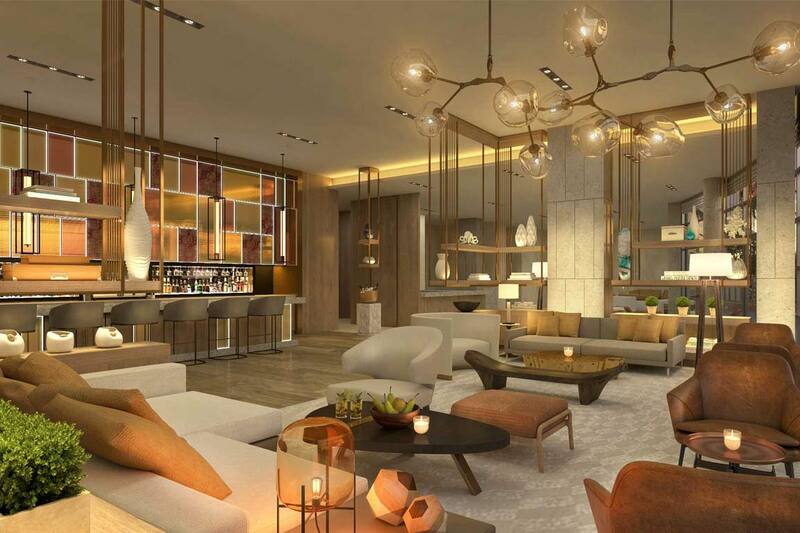 Check out these new renderings to see what utter calm looks like. Amrit Ocean Resort & Residences will be located over a seven-acre stretch of the Atlantic shoreline in Palm Beach County’s Singer Island. The architect is S&E Architects, and Bilkey Llinas Design is leading the interiors.